I wasn't sure what to expect when reviewing this sound card. We have a chipset from OPTi with the model number 82C929A. It typically comes with a CODEC from Analog Devices or Crystal that adds Windows Sound System Compatibility. On the card is a OPL3 clone, so the FM is very good. Sound Blaster quality is excellent, no clicks to be heard in games using single cycle DMA. Game compatibility is also good, every game I tried worked. The only flaw is that in some games that support Stereo sound, like Epic Pinball, Descent or Turrican 2, the sound will only be Mono. 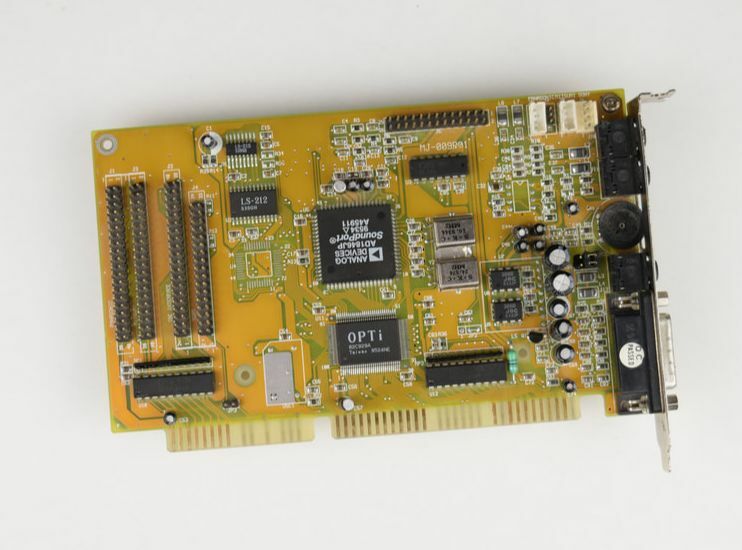 We also have a bugfree MPU-401 MIDI interface that is SoftMPU compatible, a wavetable header and CD-ROM support for IDE, Mitsumi, Panasonic and Sony. The drivers and software is also excellent, with an easy to use GUI and mouse control.